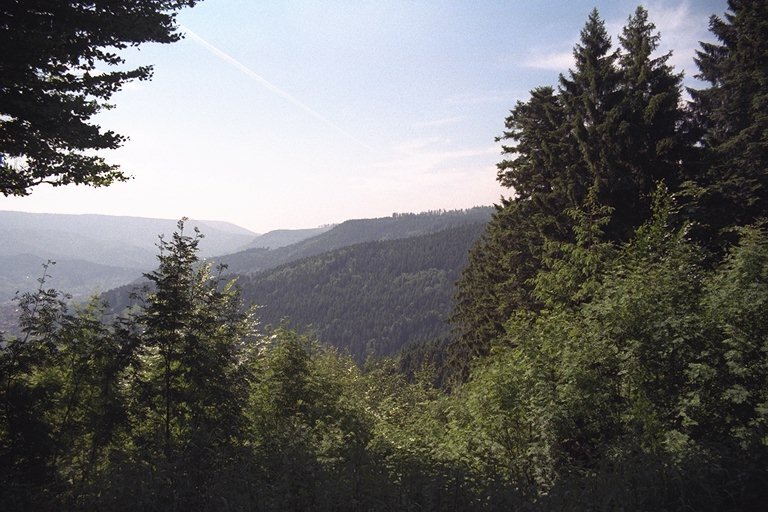 The 1997 Europrez meeting was in the Black Forest, Germany. 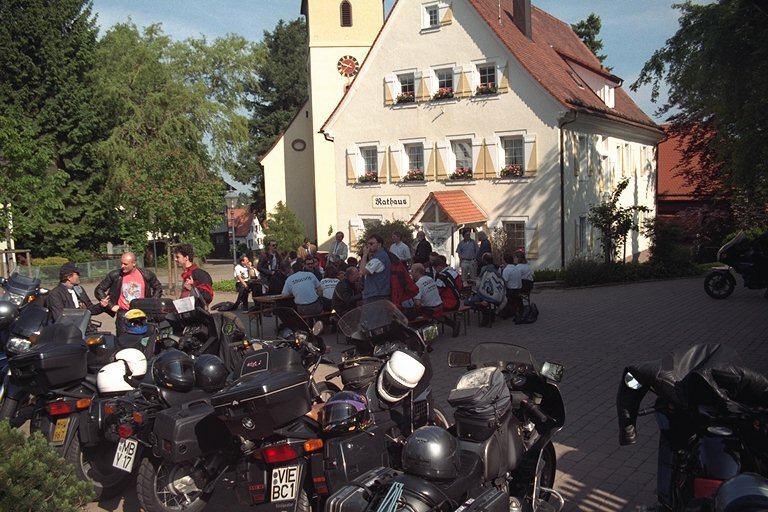 The Saturday ride started with a short run up into the mountains from the hotel to the town of Döbel. There we were met by the Mayor and given coffee and pretzels outside the Town Hall. 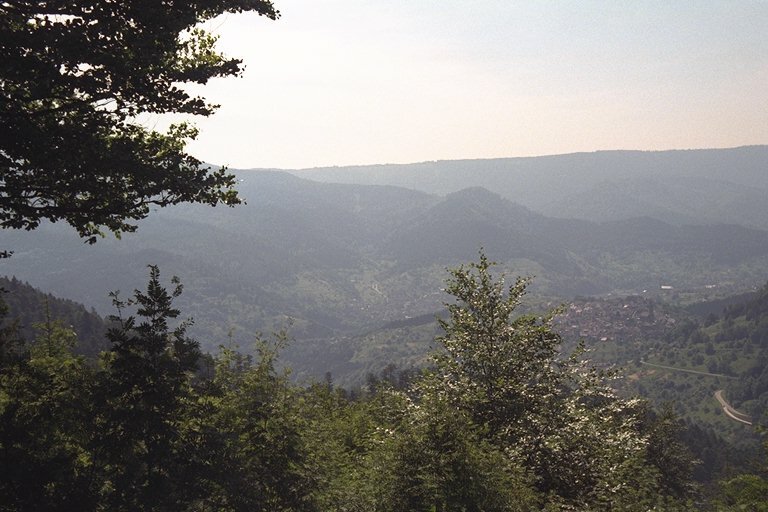 After leaving Döbel, we rode further up into the mountains. The views were breathtaking. 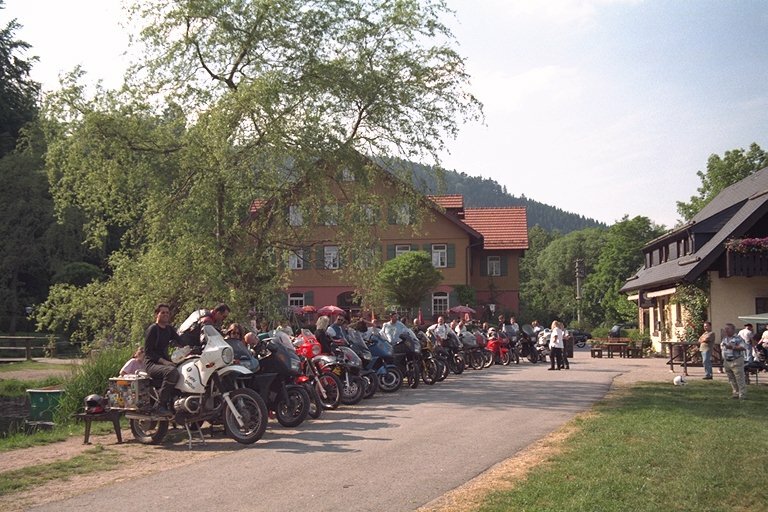 On returning to the Hotel, after a full and fantastic ride, everyone lined up for a group shot.